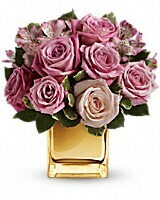 Celebrate her radiance with this radiant bouquet! 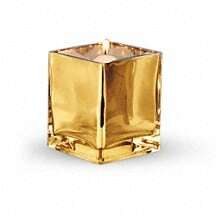 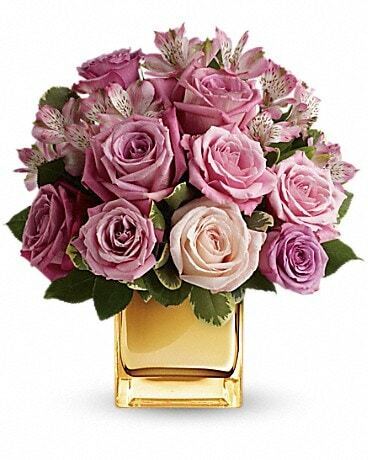 Luxurious roses and delicate alstroemeria in beautiful shades of pink and lavender are arranged in a golden cube. 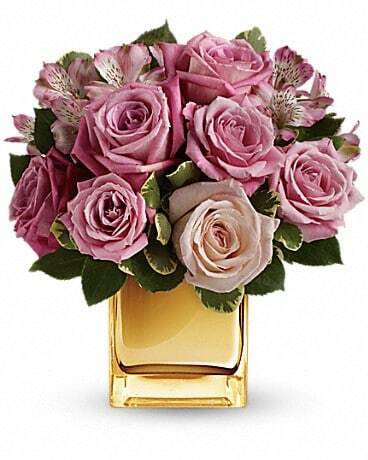 It's an elegant gift of love she won't soon forget!